If I were to judge on the usual criteria – plot, characterization, prose – it’d be maybe a B or a B-. But the story made an impression on me that surpassed what any mere letter grade could convey. I spent most of the book on a rollercoaster between kind of pissed off and really pissed off. That’s the way I read (or maybe better try to grade). The characters, actions and values in a novel and the experiences and values a reader brings to it are two different and distinct things, IMO. I firmly believe that a novel should be judged on its own merit, so I think it’s important to keep your personal baggage to yourself as much as possible when you read a novel. It’s not always easy to make a clean cut, I have trouble with it often enough – does my dislike for a certain character type influence what I think of the novel? – but I see a difference there. When I first discovered the online community, I was baffled by statements that implied or openly drew a connection between liking the characters (the values expressed, …) and the evaluation of the book. It was a completely new concept, and it’s still one I struggle with when I encounter it (although, yes, I understand it better now). I don’t have to want to be friends with characters, I don’t have to like the characters, I don’t even have to think the characters a bit likable, to think that a novel is good. The same goes for all the other personal preferences and morals that sometimes get mixed with the evaluation of a novel. There is a difference between saying “I don’t like to read stories with children” and making the existence of children in a story the reason why the novel is not good (exaggerating here). The distinction is probably on a slippery slope, but I (try to) mind it. In some way, I said this in part 2 already when I wrote about character-driven stories near the end. Liking the characters is not something that’s important for me to know, so it’s not something I consciously think about when I read the novel and later when I write about it. Reading “he/she is not a very likable character” in a review often gets me to at least consider the novel because it could be interesting to read. It’s not that I like to be challenged on principle and that I look only for that in the novels I read, it’s that when it happens, I’m willing, happy and thrilled to go along for the ride. I don’t try to validate myself all the time in whatever way when I read (for that, I probably have some of my preferences). So again, what I want to know is: Are the actions of the characters believable? And more specific for a romance novel: Are the characters right for each other? If yes, I’m happy and much more likely to like a book and/or think it good. The question is not just if the characters (or values) are right for me, there’s more to it for me. So: reading is not about me. Perfect example: at the moment, I’m reading Laura Kinsale’s The Prince of Midnight. The hero might very well drive me round the bend in RL from time to time (I also think him quite endearing) and the heroine certainly appears to be a hard and difficult person from the outside, but OMG, I’m thrilled to bits reading about them and the novel looks like a sure keeper. A combination of both is usually what makes me buy books from genres I’m not really into. Number 1 is more important when I browse books in a brick-and-mortar store and I don’t know much about the novel and/or the author. So books without a summary are out right of the bat no matter who praised it to heaven on the covers. When I read reviews online, number 2 has probably more influence. There are exceptions, of course. For example, I liked Karen Rose’s romantic suspense novels so far, and I like Karen Templeton’s novels (when I get over the child thing and buy them). – feature Mary Sue/Gary Stu characters, TSTL characters, and heroines everyone (even the houseflies) adores/falls in love with/… (which probably means I would view her as a Mary Sue anyway). – And on a lighter note: contemporary heroines who go “that can’t possibly fit” the first time they sleep with someone (which is of course the hero), and heroes with mustaches. I like character-driven stories, and I like them even more when it’s shown that the characters are right for each other. Characters don’t have to be perfect or have certain qualities and virtues to make me like a novel and/or think the characters deserving of love. They don’t need to fulfill any (reader imposed) conditions, they just have to be and behave believable (which is probably harder to pull off, I think). It’s the “love conquers all” vibe I look for in in romance novels, a sense that love isn’t subjected to conditions. Which means for example, as much as I like to read them, ugly duckling stories that rely on “magical transformation” à la “take off your glasses, darling” and everyone falls over at the revealed beauty, or have heroes who notice the heroine only after she changed (or the other way round, if there is such a novel), seldom work for me. I planned this post 1) as a follow up to the How it all began: Reading Romance post two weeks ago, and 2) because I never got around to do a post about my book preferences and reading, although I had a post titled What Kind of Gamer I am when I started blogging. The post turned out much longer than I intended (and isn’t that always the case? ), so I divided it into three parts. The other parts will be posted over the weekend. Most of the books I read are romance novels, with fantasy novels probably being my second preference. But on the whole, I like to read all kinds of fiction genres. I also like to read non-fiction, especially biographies, and – broadly speaking – cultural studies or scientific books. Of course, there are fiction genres I read less often, but if a book sparks my interest (more about that in part 2), I’ll look at it and might even buy it. It’s not an aversion per sé against a genre even though I’ll answer the question what books I read by listing the genres I’m not really into. I’m not really interested in reading mystery and in its variations, although I pick it up from time to time and I think there is much potential for character-driven stories, or better: interesting stories from a ethical/psychological/sociological point of view, there IMO. For example, I really liked James Ellroy’s The Black Dahlia and I found the ethical implications in Dennis Lehane’s Gone, Baby, Gone interesting. I have a difficult relationship with literary fiction. I read it a lot during my break from romantic fiction, and now my tolerance for an author’s tendency to show off, either with the use of words or by demonstrating how intellectual the author is, is not very high. If I get the impression that the author is too much in love with him-/herself, I’m much more likely to put the book down and never pick it up than when I’m reading another genre and get irritated by something. I know I’m often too hard there and biased, but that’s the way it is. But I still like to read literary fiction because if it’s done “right” (for example A. S. Byatt’s Possession), I like and enjoy it a lot. As for romance novels, at the moment I gravitate the most to straight contemporaries (ordinariness), (still) paranormal romances (inherent conflict and the potential for melodrama), and science fiction romance (different societies). 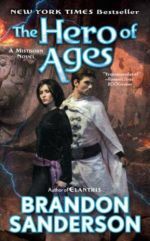 I would love to read a good (new) medieval, and I plan on taking a closer look at urban fantasy. I always loved to read which is a bit surprising because my parents are not really readers. I read all kinds of books, borrowing from the library, but I was always drawn to books with an element of relationship or romance in the story. I was fine with other stories, but if there was a hint of romance in it, it was so much better. I can’t remember how old I was when I discovered the “real stuff,” but it was on a hot summer day. I remember that I read this novel in a not often used and rather dark room while sitting on a rolled up carpet (intended for renovations after the temperature would go down). I think I must have been rather young to read it in hiding. The thing I remember most about the novel is the place where I read it – a dark room with only a few sun rays slanting through the shutters (enough to read + I didn’t dare letting more sun in as that would have given me away), piece of fluff visible in the rays, how hot it was in the room, and I, sitting on the rolled up carpet with the “book” in my hot little hands. I put “book” in inverted commas, because it wasn’t a book; It’s called “Romanheft” in German which my dictionary translates as “cheap pulp novel/penny dreadful” and looks like a small-sized magazine. As far as I know, you can still get them (picture on the right). I don’t remember much about the story, let alone title or author. I know it was very tame. I’m not even sure if the couple kissed at the end but – here’s the thing – I’m pretty sure that the heroine was pregnant/had a child (by another man?) without being married before the start of the story. And that is all, but I’m sure the memory of the “where” will always stay with me. I then read all the other novels of that kind my mother had stashed away in a small cupboard in this room. So at some point, she must have read them (they were a couple of years old when I got my hands on them). Some time later, maybe a few years, I discovered “Sweet Valley High” and other similar books. I didn’t read them regularly. It all depended on my money, which books the store had, and if I got up the nerve to go in the store because the owners, an elderly couple, were rather condescending regarding my reading material; especially the woman was sometimes downright sneering. But it was the only place around I could reach on my own and which sold these books, so I was stuck (it was located in a town next to the village where I grew up). Looking back, I think “really bad customer service,” but then I was just intimidated and thought something was wrong with me that I liked to read these books. I hope today I would be grown up enough to tell them: “If you don’t like this kind of book, don’t sell it.” It was mostly a stationary shop with a very small selection of books, so they certainly could decide for themselves what they wanted to sell and what not. I then found Nora Roberts’s Dream Trilogy and discovered Penelope Williamson (the first one was Keeper of the Dream). I then bought Nora Roberts’s “Concannon Sisters” (worked well), one Georgette Heyer (worked well), and a few others (didn’t work as well). It is difficult finding romance novels when you look in the wrong places. Then some day I made the connection between reading fanfiction online, looking for information about all and everything online, and wanting to look at Amazon even though everybody said you’d risk losing personal data and worse when you ordered there: I searched for romance novel sites and found The Romance Reader and All About Romance. From there I started. 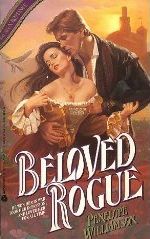 Now I knew what I was looking for: I read romance novels. 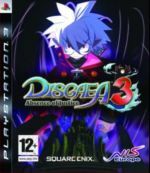 I had the help of two online review sites and Amazon, I was more informed, and I decided to do it in English. It was September 2000. 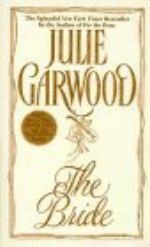 The first book I read was Julie Garwood’s The Bride. It came recommended by an A review and I expected a lot. And, umh, I didn’t like it. Huh? three Garwood novels to realize that she just isn’t for me. I had more luck with Howard’s Son of the Morning and King’s Lady Miracle. I liked Lynn Kurland’s Stardust of Yesterday, but Johanna Lindsey’s Until Forever was more of a miss for me. But the important thing is: I never looked back.